Kenya and Germany have been traditional trading partners since the attainment of Kenya’s independence in 1963. Germany is one of the most important export destinations for Kenya and remains the number two economic partner in Europe after the United Kingdom. Participation of Germany in the economic activities in Kenya has grown steadily through regular promotion programmes in areas of trade, tourism, investment and bilateral co-operation. Direct imports from Kenya to Germany constitute about 8% of Kenya’s total exports. The range of products imported by Germany from Kenya are mainly primary agricultural products without or with less value addition. These are coffee, cut-flowers, fish, tea, spices, fresh fruits and vegetables. Other products include handicrafts, semi-precious stones and textiles. A big percentage of the imports of Kenyan products into the German market enter the country through third countries in the European Union, especially the Netherlands, where specialised import and auction houses are well established. Such exports include cut-flowers, tea, fruits and vegetables, which come into Germany through their agents or suppliers in the Netherlands and France. German exports to Kenya are high value technological and industrial products ranging from plant and equipment, chemicals, electrical, telecommunication and automobiles and parts thereof. These high valued products compared to Kenya’s low valued agro-based raw material products result into big balance of trade in favour of Germany. The deficit level has been aggravated by the low world prices of agricultural products and the maintenance of the farm subsidies by Europe and other developed countries. Germany in general has limited trade with Africa. Trade with Africa accounts for about 1% of the country’s total trade volume. The major trading partners to Germany include the Netherlands, France, the UK and the USA. In order to boost the export of Kenya’s products the German market, the Embassy has successfully instigated and/or coordinated various Kenya’s participation in promotional events and trade fairs. 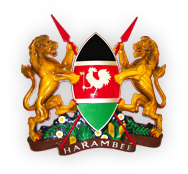 In addition, in order to enhance the scope and volume of trade between Kenya and Germany, where there lies a major unexploited potential, the Kenya Embassy encourages, supports, promotes and organizes, in conjunction with relevant partners in Germany and Kenya, both inward and outward trade missions to Kenya. Kenya and Germany signed an agreement on the avoidance double taxation agreement between them in 1977 which is in force. In addition, in the year 2000, a Treaty on the Encouragement and Reciprocal Protection of Investments came into force, having been signed in 1996 in Nairobi. The treaty aims at intensifying economic co-operation between Kenya and Germany by creating favourable conditions for investments undertaken by nationals and companies of either state in the territory of the other. This would hence stimulate private business initiatives. The treaty thus calls for equal treatment of investors in each of the two countries, identical to that of its own citizens, as granted by the laws of each country. Over 90 German companies have invested more than €160 million in projects in Kenya. Several trade and investment delegations from Germany have visited Kenya since then e.g the visit in July 2011 by the German Federal Chancellor, H.E. Angela Merkel, accompanied by Senior German business executives.